As you may recall from previous emails, the Council is meeting twice a week for several weeks this month as we work on the budget for the coming fiscal year (which starts on July 1), with Monday nights devoted specifically to budget discussions and Wednesdays covering other issues (with budget activity as well). My goal in Monday’s discussion will be to explore options for moving forward in identified priority areas like affordable housing; programs for youth, lower income and immigrant families and individuals with developmental disabilities; community policing; carbon neutrality in our municipal government activities; and making progress in key community development projects like the Library renovation and the Takoma Junction development. It is also a high priority for me to make sure we advance on those initiatives in a way that is fiscally responsible and affordable for residents. So, a crucial part of the budget discussion Monday night and over the next few weeks will be centered on setting an appropriate tax rate for the coming budget year. An important part of that question will involve considering the extent to which we should use longer term bonding versus short term direct spending to help meet our priorities as a community. I would note that there will be a public hearing on the tax rate question at the Council meeting on Wednesday, April 27. This is an opportunity for residents to express their views on the proposed streetscape manual, which is aimed at establishing protocols for maintaining -- and in some cases standardizing the physical appearance of – the public rights of way in the City. I encourage anyone who is interested in the look of our community to participate in this hearing. As I have discussed previously, I support shifting our local Takoma Park elections from “odd” to “even” years, meaning the votes would take place at the same time as Presidential, Congressional and State elections. Assuming we are able to accommodate the unique features of our local elections (allowing 16 and 17 year-olds, non-citizens, and convicted felons who are on parole or probation to vote, plus keeping same-day registration and automatic run-offs), I think synchronizing our votes in this fashion will significantly increase voter turnout in our local elections. 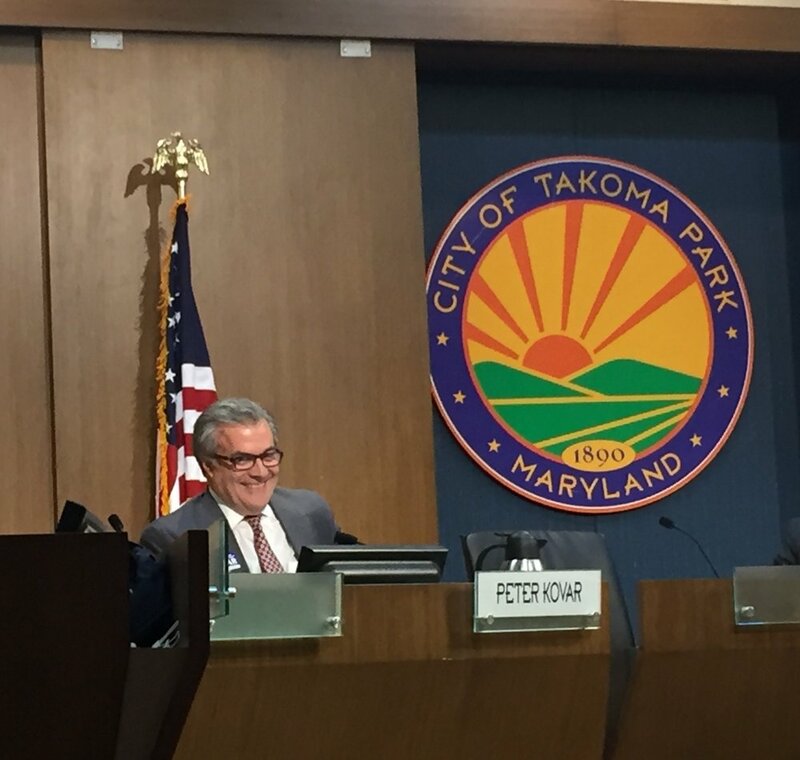 A non-binding Takoma Park referendum calling for this shift was approved by a large margin of voters in November, but the shift is contingent on whether we can accommodate the unique features noted above. This agenda item will feature information from City staff on changes to the City Charter that would be needed in order to synchronize, along with other potential changes and a possible schedule for going forward. I would add that there are other steps we can take to promote voter turnout and improved civic engagement, and I don't view synchronization as the only action we should take in this regard. This will be a continuation of the discussions on the budget, with a particular focus on “reconciliation” items (meaning proposals that differ from, or that are in addition to, the base items in the City Manager’s proposed budget). As always, please feel free to be in touch with me if you have questions or comments about any of the matters discussed in this email.